This stunning young domina has an exotic Asian visage and does come from the East – all the way from East London that is; though she has Vietnamese and Chinese ancestry. 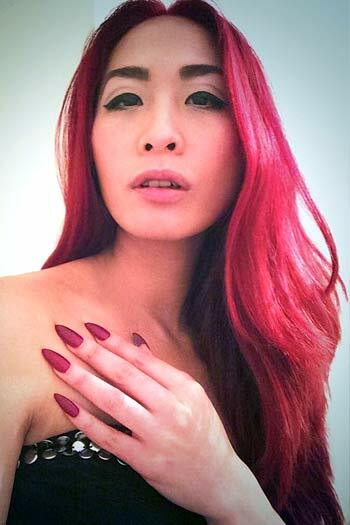 Goddess Maya Liyer (both pronounced ‘eye-ah’) is a natural-born-domina with a sadistic streak. She has no qualms about hurting you and watching you squirm and suffer. She enjoys classic Mistress and slave scenes where you adhere to her protocol, submit to her cruel whims and listen to her cutting tongue. She also specialises in foot & apparel worship (clothing fetishists); and TV/CD dressing scenes.